A Different Winter in the Desert. With daylight savings time arriving this weekend, I have been reflecting on my winter and the arrival of spring. This winter has been a very different winter than the previous two. The first two winters after I went full time, I went solo into the desert, in my RV. I saw a few friends along the way, and even traveled with a few for a short time. Those first two winters were solo winters for me. I withdrew from too much “people” interaction and contemplated life, my existence, what had happened with Jim and more. I call these two winters my existential winters. It is not easy to delve into the depths of myself and work my way out the other side of some dark and truthful moments. Since then I have discovered that it is not unusual for people in their mid-sixty’s to go through this self evaluation and reflective time. It was very reassuring to discover that I was not alone and that it is a process that others might be going through as well. And I thought I should be done growing by the time I arrived at this age. Ha!!! This winter was very different. 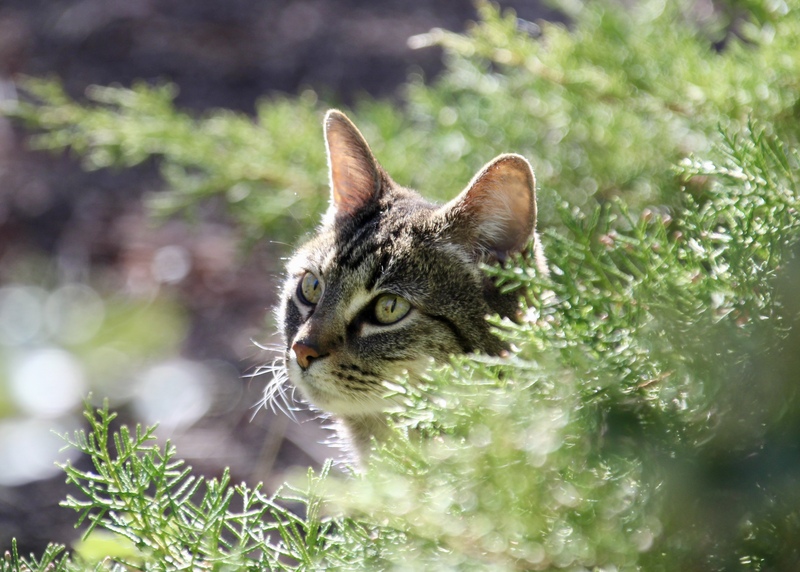 I chose to stay close to San Diego as I was truly hoping that my thyroid surgery would be behind me, by now, and I would be in the recovery stage. Well, guess what?, I am still waiting. The surgeons must be very busy. I went to the desert about two hours east of San Diego and spent the winter. 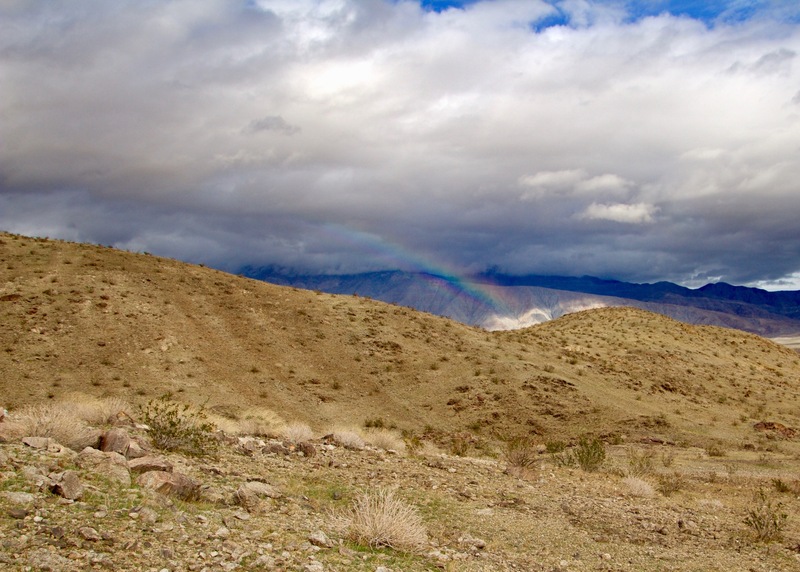 The Anza Borrego desert is an amazing place. It is alive and usually dry. It is a good place to be solo, yet my time there, over the past few months has been delightfully active with other people. I camped near a good friend of mine, Peggy, for almost two months. I enjoyed meeting her new beau and spending time hiking and exploring the area with them. Sandy and Pat arrived. They are fellow Roadtrekers and delightful people. I am happy to be friends with them. More hiking ensued, including a climb to the top of Coyote Mountain. The three of us met two winters back at the White Water Draw Wildlife Refuge (AZ) and we are friends. I cherish them. More friends arrived, Karen, Larry and Joni. I had the opportunity to hike and camp with them in a different part of the park. Karen and Larry arrange private river raft trips. I met them when I became a swamper for Zee on the North Fork of the Flathead River, over a year ago. They are fellow desert hounds, hikers and explorers. I took time to meet new friends on the east side of the Salton Sea. Rhonda and Jim are more fellow Roadtrekers. They spend part of their winter running away from Michigan, seeking the warmer weather of Southern California. I spent two nights at The Fountain of Youth RV Resort. For two days I enjoyed the hot springs and getting to know this delightful couple. They took me on a tour of Slab City, East Jesus, and Salvation Mountain. I might suggest a visit to this unique spot. A few days later Mary, (Zee) arrived after she traveled for two months in Mexico. After spending time on the east side of the Salton Sea and getting some serious bird watching in, oh those cute burrowing owls, we met up with Karen and Larry in Joshua Tree National Park. We arrived in time to witness a Superbloom on the south side of the park. The desert has always been magic to me. This year was a very different experience. It was wild and rainy and flash floods became common. I have never seen the desert so green or so wet. On the intense rainy days, my favorite activity was to go see the flash floods. It was a very cool thing to watch. I hiked into waterfalls that usually are dry. Not this year. I love seeing nature at its wildest. This winter was the desert’s turn. My winter was different. I felt ready to be more social. It was fun interacting with everyone and yet, I could still find time alone to contemplate and breath and just be. It was a good winter in the desert. I have returned to San Diego. Currently I am staying with my friend Phyllis. We are intensively planning our trip to Africa this summer. There is work to be done, reservations to be made and much to discuss. We are doing well. We have not gotten into arguments yet. It bodes well for a two month trip to somewhere very different. I enjoy San Diego. I am more of a tourist now in this city. I take the time to go see things that I would have put off, while I was still living here. Though I am enjoying my time here, my mind often wanders to those wide open vistas and a bit of longing fills my soul. I know that I will return to those wild open spaces as often as I can. The world awaits— Out there awaits. I have been in the desert for over a week. To be more specific I am in Anza-Borrego Desert State Park and the town of Borrego Springs. I am boon-docking (dry camping) and visiting friends. My usual way of doing the desert is to be as remote as possible, isolating myself from the world. I have changed up my game plan, thanks partially to Peggy and Roger. I am learning to be a bit more social. It is a casual social, nothing forced or big. I am still doing what I love best, hiking and exploring in the back country. One day I found a wash that I followed for a bit, discovering natural water tanks, small waterfalls and of course flowers. 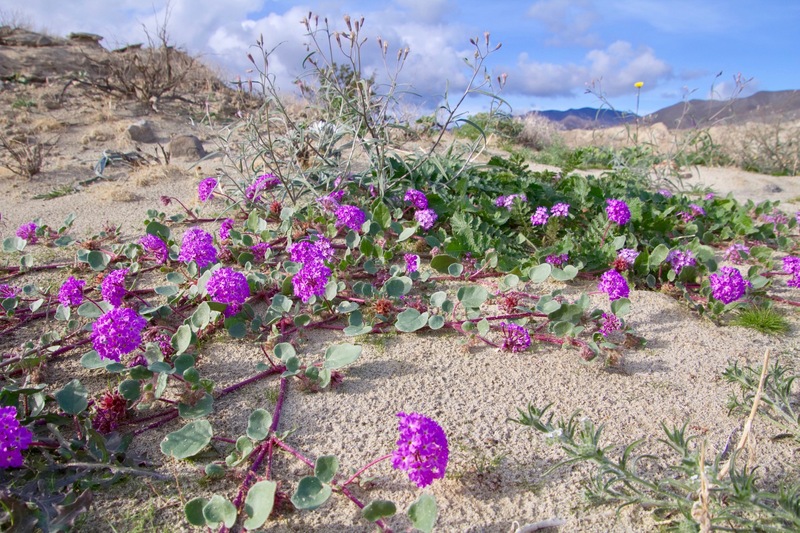 The desert is blooming a little bit at a time this year, thanks to the abundant rain. The first few days I was here I stayed with a friend, Phyllis, at a resort and spa. We did some hiking and then sat in the jacuzzi and rehashed our day. There is a very good massage therapist in Borrego Springs, Paul, and he just so happened to be working at the resort I stayed in. Massages were in order. I love a good massage therapist, my body loves it more. I am camped just outside of the small town of Borrego Springs. Peggy and I have taken the opportunity to access what is available in this small town. We have gone to yoga class and played bingo at the senior center . I won $30. Peggy has become involved with the quilting community. This town is celebrating the 6th year of the Borrego Springs Film Festival. The whole event is sold out. I was able to buy certain film blocks. I have been enjoying interesting and cool movies. People come from afar to be part of this weekend. The films I have seen have been extremely varied and different. After the movie block the film producers are invited up on stage and anyone can ask them questions. The attendees are friendly and interesting as well. This will definitely go on my radar for next year. I have yet to explore the new library. I will get there. It is a beautiful and modern building. I am always anxious to explore libraries. Almost every day I have gone hiking, alone, with Peggy and Roger or any combination of the three of us. I have been exploring old favorites and finding new places as well. Jim and I used to come out to this desert all the time. We only stayed for a few days. I am enjoying spending more time here to explore a bit more leisurely. We even hiked up a small section of Henderson Canyon in the rain. Yes, you heard me right, it has been raining in the desert a unique and rare event. One afternoon we went out in Roger’s jeep to find flash floods. We were successful and safe. The sunrises have been spectacular. Each day it is a bit different. When I am living in my small RV my schedule shifts. I go to bed earlier and arise with the sun. Often I stayed curled up in bed yet there are mornings where it is worth the effort to rise and greet the dawn. This next week I will be returning to San Diego for eight days. I need to get some work done on my rig. I will be there for eight days and then return to the desert and hopefully get ready for the “Bloom”. The desert is greening up. The ground is covered in green waiting to bloom, be eaten by caterpillars and fade into existence for another year. Ah the cycle of life. I believe it will be another grand wild flower year. I look forward to seeing my friends in San Diego, once again. 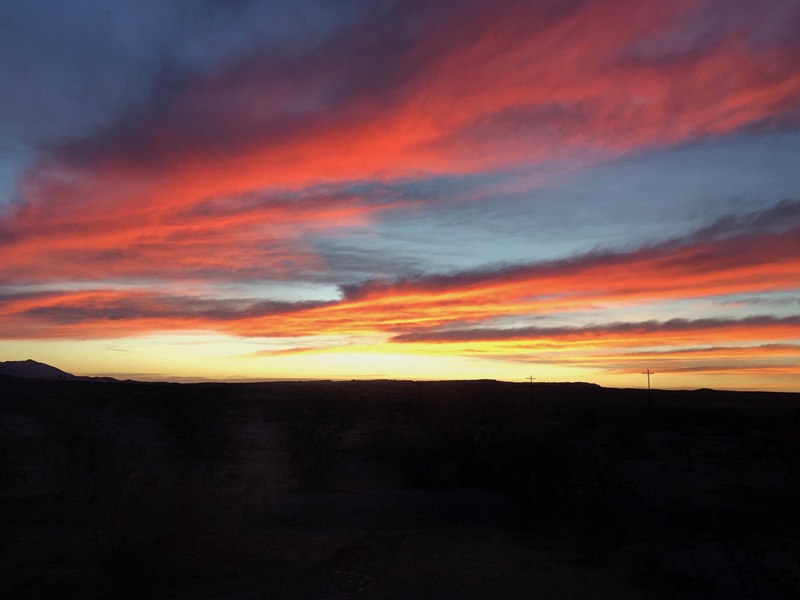 I also look forward to returning to the desert and enjoying the small town of Borrego Springs and hiking into the wild.